LOS ANGELES, CA--(Marketwired - May 2, 2017) - Agritek Holdings, Inc. (OTCQB: AGTK), a fully integrated, active cannabis real estate investor and operator in the legal cannabis sector today announced the company's first purchase order for its' licensed brand "California Premiums" of $30,000. Agritek Holdings will provide the licensing and packaging to produce the exclusive line of premium pre-rolls to be distributed through its permitted manufacturer and collective to multiple dispensaries throughout Southern California. AGTK will receive a flat fee of $3.00 per box with the first 10,000 units being delivered this month. The Company will also begin to receive its first rental income this month and begin funding the 25,000 sq. ft. cultivation facility in San Juan, Puerto Rico previously announced through its five (5) year operational contract. The operational contract and licensing agreement executed last month is expected to produce several hundred thousand dollars in revenue for the Company over the course of the Agreement. B. Michael Friedman, Chief Executive Officer of Agritek Holdings, Inc. stated, "Since our inception as the first fully reporting company in the cannabis sector, our strategic vision has been to build a portfolio of assets in high-growth sub-sectors of the rapidly expanding cannabis market. With the ability to access and deploy capital and provide financial consulting and industry expertise, we plan to leverage our network of investments in Colorado, California, Canada and Puerto Rico to drive revenue and growth across our expanding portfolio of assets. Our first meaningful revenue for Q1 with increased distribution was the last piece of the puzzle in showing real growth and increase shareholder value. Our aggressive plans for increasing revenue streams will include developing our real property assets and our existing and new cannabis brands for safe and effective medical applications in multiple jurisdictions." Agritek Holdings was recently approved for uplisting and now trades on the OTCQB Venture Market for early stage and developing U.S. and international companies. To qualify for the listing, companies must be current in their reporting and undergo an annual verification and management certification process. Investors can find Real-Time quotes and market information for the company on www.otcmarkets.com/stock/AGTK/quote. The Company is additionally investigating and seeking a dual listing on the CSE or TSX Venture Exchange with the acquisition and upcoming closing of its new Canada property and facility. Agritek Holdings, Inc., (www.AgritekHoldings.com) a pioneer within the medicinal marijuana space, provides innovative technology and agricultural solutions for both the medicinal and recreational cannabis industry. Agritek Holdings, Inc. presently owns or manages property in Colorado, Puerto Rico and Canada and has licenses with permitted facilities in California approved for cultivation as well as manufacturing capabilities. 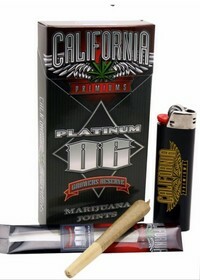 The company owns several Hemp and cannabis brands for distribution including "Hemp Pops" and "California Premiums". Agritek Holdings, Inc. does not directly grow, harvest, or distribute or sell cannabis or any substances that violate or contravene United States law or the Controlled Substances Act, nor does it intend to do so in the future.